Longbox Crusade: New Longbox Crusade Promo - What's In Your Longbox? New Longbox Crusade Promo - What's In Your Longbox? 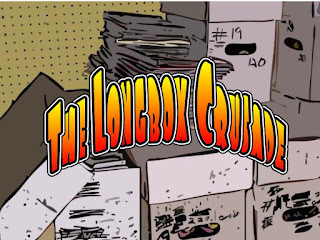 Get EXCITED by listening to this fun new promo here: Longbox Crusade Promo 03 - What's In Your Longbox? The first two promos were amazing for sure and I'll listen to this once I'm free from work. Looking forward to seeing what you guys will introduce in the next promos. You may locate music videos, which can easily be downloaded instead of purchasing the videos by a supplier like itunes. Watch Japan Movies, TV-Series Online For Free, Latest Japan Movies 2018.